So my phone got dropped/Sat on/ cracked on the back cover and I was very Grrrrrrr about it. I decided to just buy a replacement cover and remove the old one. They are really simple to remove with a hair dryer and a spudger basically. One thing I learnt tho is that you can't just chuck the broken back away as that's got the NFC chip stuck to it. Now if you are here because like me you needed to find a replacement NFC chip for your Xperia Z2 then you are in the right place. World of Mobiles in Germany has an eBay store that has the only replacement panel I could find with the NFC chip on it. I did buy 2 other panels for about 15 quid each but wish I'd just bought this more expensive but the only one that could do the job. This is eBay user powerseller_nr who has this item you need. 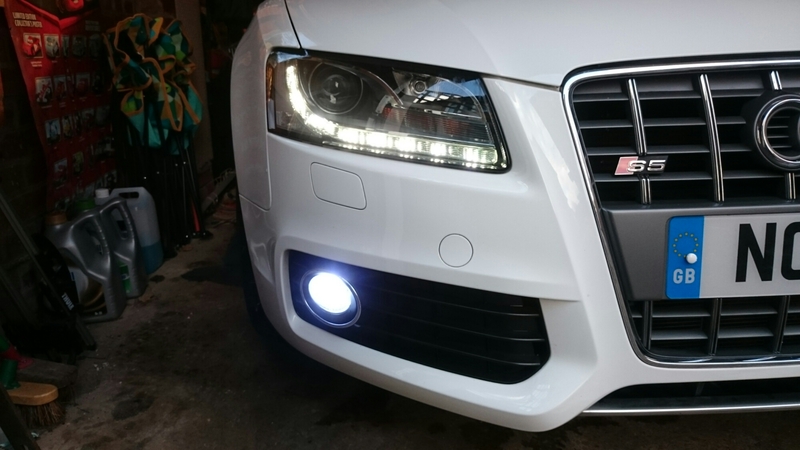 So I was looking for some info on replacing the bulb in an Audi fog light. There seemed to be only one static image video on YouTube so I thought last minute, I'd put one together. Hope it helps someone. I replaced standard fog light bulbs with LED ones (via ebay/China) There are no error codes thrown up with these, so all good.